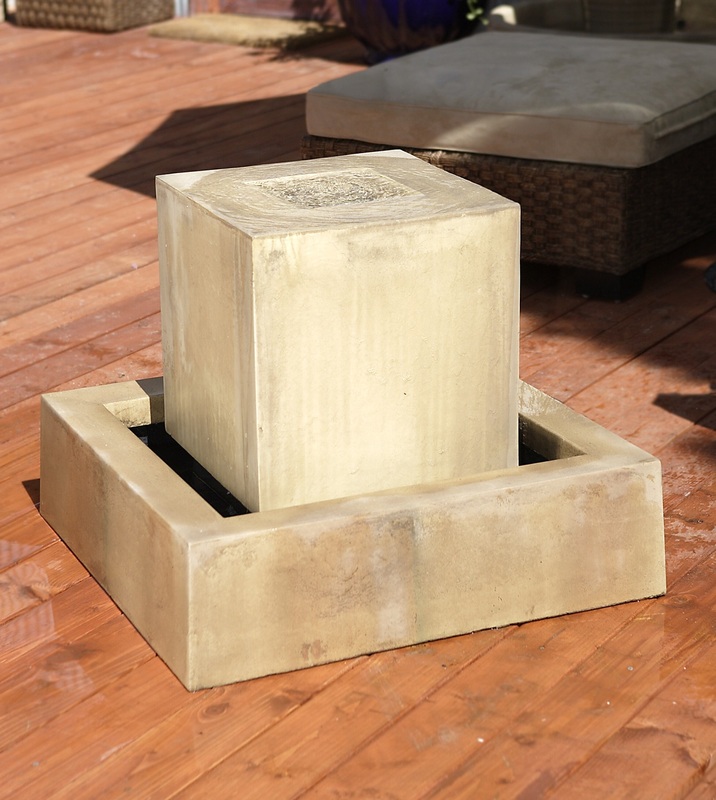 The Block Fountain is the perfect compliment to any space. Use the angular style to contrast softer elements in your yard or to enhance a modern look. Water spills over the top and runs down it's smooth linear sides for a very calming affect. L 32" W 32" H 26" | 264 lbs.